It’s one of those unavoidable facts of life: your car tyres are worn, flat or unsafe. It’s time to replace them. So, what do you go for? Cheap or expensive? Budget or premium? Economy or luxury? Whichever way you look at it, is it worth penny pinching on your selection, or should you splash the cash? A quick internet search for “should I buy cheap or expensive tyres?” appears to be the digital equivalent of taking an industrial sized tin opener to the world’s biggest can of worms. Thankfully, we’ve distilled the information into one easily digestible article right here. Here’s how to choose between tyre price points and get the best value for money. It almost goes without saying (but we’ll say it anyway) that the main advantage of buying cheap tyres is the friendliness to your purse or wallet. Especially when it’s an unplanned purchase, such as when you’ve got a puncture, a budget tyre is ideal for when money is tight. There is some minimum standard; tyres have to conform with certain EU regulations (which you’ll see on the tyre labels). What this does mean, though, is that the cheaper tyres may lead to poorer fuel efficiency, increased road noise, or poorer braking performance. Some people therefore consider buying cheap tyres to be a false economy. There are also suggestions from some quarters that budget tyres don’t last for as many miles before they need to be replaced; so you’re actually worse off than if you buy a more expensive one. Another example of “buy cheap, by twice”, as the saying goes. But let’s roll it over and look at the case for investing in a more premium tyre. Buying more expensive tyres is – obviously – more of an outlay. However, in some cases, the additional expense can actually be a shrewder purchase when you consider the performance and longevity of the tyre, compared to a budget buy. There are more reasons to support the idea that the premier tyre brands are worth the money. Famous manufacturers spend millions on researching and testing their products in a near endless search for perfection. That means the tyres are made using a carefully honed and refined manufacturing experience to deliver the highest possible performance. They even employ chemists to help formulate the rubber compounds and find the right combination of ingredients for their tyres. For that reason, many people believe that premium tyres are a more economical purchase in the long run due to their better performance. But wait: it’s not just about the price of the tyre. Just because something’s more expensive, it doesn’t necessarily mean it’s a better product. Plenty of experts have run tests to compare the performance of cheap versus expensive tyres. Often these come to the conclusion that the premium brands are better value overall. Check out the test conducted by What Car? in this video. You can make up your own mind, though. The EU tyre labels we mentioned earlier are in place to give you a quick and easy overview of the performance you can expect. You’d probably expect the more expensive tyre brands to score better in these three areas, but that isn’t always the case. In terms of noise pollution, you’ll obviously want a tyre that performs quietly. You will also want a tyre that keeps you safe when stopping on wet roads, so wet performance is a key consideration. When it comes to financial outlay, fuel efficiency is the key number to look at. Because a more efficient set of tyres may well be more cost effective than a cheaper set of inefficient ones. Let’s work it out with an example. You buy a set of 4 premium tyres with a grade A fuel efficiency rating at £80 each, totalling £320. You get 20,000 miles out of them, and your average fuel consumption is 40mpg. The average fuel cost over that time is £1.20 per litre. The total cost in fuel would be £2,728. Now let’s imagine you opt for a much cheaper set of tyres. You buy 4 tyres at £40, spending £160. That’s half the price of the premium set. 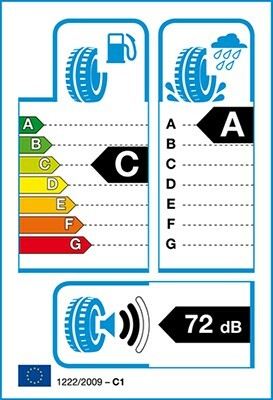 But these tyres are rated G for fuel efficiency, so your average fuel consumption decreases by 7.5% to 37mpg. You do the same number of miles, with the same average fuel cost. The total fuel cost in this case would be £2,949. Despite saving £160 on the tyre purchase compared to the premium option, the poorer fuel efficiency of the cheaper option would mean that over the lifetime of the tyres, you’re actually £61 worse off. Still, this is just one example, and you may find different results from your tyre purchase and usage. Your tyres are the only part of the car that actually come into contact with the road. It’s therefore important to consider safety features like braking distance when choosing new ones. Ultimately, you’ll also want to get value for money. While it might seem cheaper to buy a budget tyre, take the time to review your options in terms of fuel efficiency. It may well end up being more cost-effective to pay more initially to save further down the line. 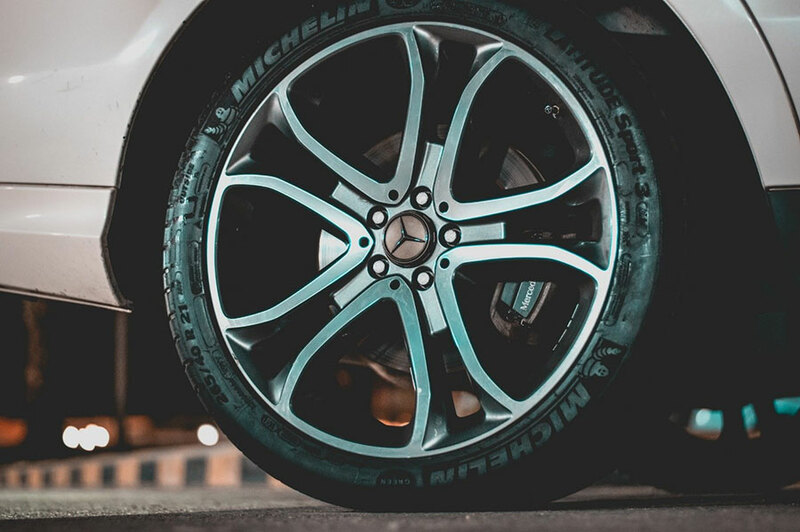 Whichever option you choose, rest assured that we offer a full range of tyres to suit all budgets, from economy through to premium. Want to learn more about car care, auto life and more? Check out our Help & Advice page.